Gudhi Padwa – This is the first day of the Chaitra month. It marks the beginning of the New year ,as per the Lunisolar Hindu calendar. It is known by different names like Ugadi, Padvo, Thapna, Cheti chand in different states. Gudhi Padwa signifies arrival of the Spring (Vasant Rutu) and reaping of Rabi crops. Gudhi Padwa is celebrated at large throughout the country. It is considered auspicious for new beginning, may it be business, good work, or special shopping, as it is among one of the auspicious three and half muhurats. As mentioned in one of the earlier blogs (Makar Sankrant), our festivals and the delicacies are relative to our health. The rituals and food /medicinal items are an indication of things to be included in our regimen in that particular rutu. In Maharashtra Gudhipadwa is celebrated in a special way – The houses are decorated with flower garlands, rangoli. A gudhi is hoisted at every house. Gudhi – A decorative long cloth along with neem leaves, flower garland, sugar garland is tied to a bamboo stick. It is covered with a copper or silver kalash (urn) on the top. The Gudhi is then erected in a way, that it is exposed to the sunrays. Ayurvedic Perspective – Gudhi Padwa falls in Vasant rutu. The vitiated kapha liquifies due to the bright sun rays in this rutu, which needs to be expelled out of the body. 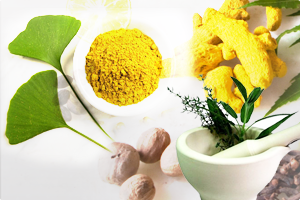 so, Vaman (one of the Panchakarma) is recommended for well being of all the individuals as a seasonal regimen. The neem used for Gudhi is a good emetic, pacifies kapha and purifies blood (Raktadhatu), thus preventing the possible ailments arising due to vitiated kapha. The copper or silver urn is a a good conductor of heat. Also the sunrays in this particular season are not very harsh but pleasing and helps kapha liquification process. This also enriches the surrounding with its positive energy and good health. The bamboo stick symbolizes the attitude towards life i.e. progress with humbleness. The decorative cloth represents the wealth. The sugar garland signifies the sweetness along with the bitterness in life. Neem, haldi(turmeric), copper signifies the health. So, weren’t our ancestors more smarter and scientific? I hope, now we all know, why we have so many festivals in India? 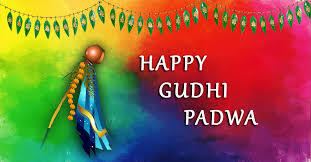 Wish you all Happy Gudhi Padwa. The happy, healthy and a prosperous New year in a true sense…! This entry was posted in Annavha srotas vyadhi, Ayurveda, Cosmetology and Ayurveda, Diet, Dinacharya, Health tips - AYURVEDA SAYS, Lifestyle, Medicinal plants, Panchakarma, Seasonal Regimen. Bookmark the permalink.